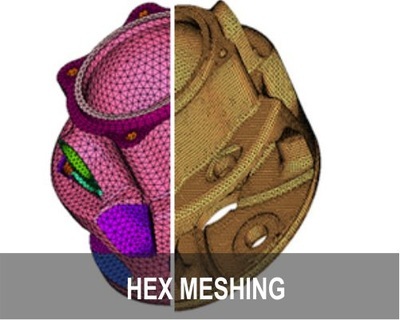 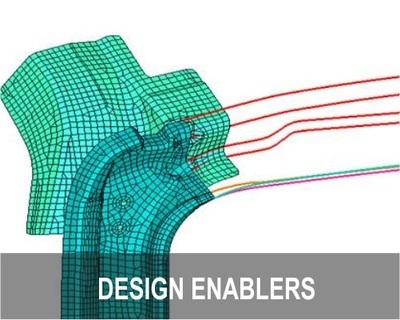 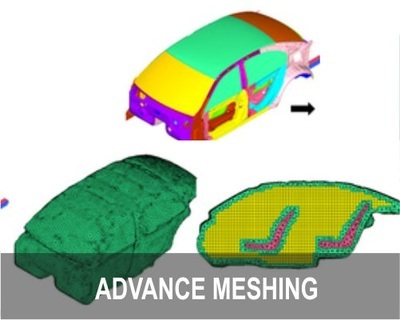 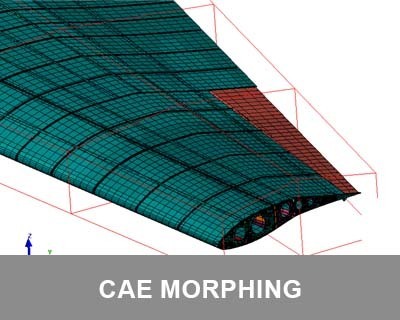 MeshWorks has advanced cutting, blending and stitching functions to create early stage concept FE and CFD models very rapidly. 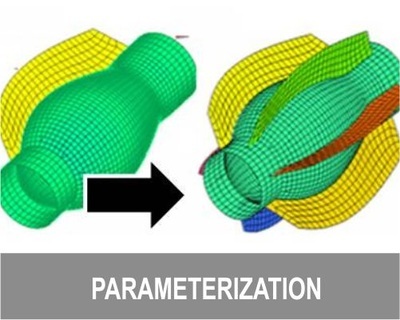 Local regions from the donor FE or CFD model can be cut, morphed and stitched to the target FE/CFD model resulting in a new concept quickly. 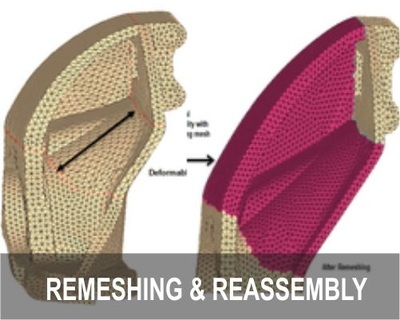 Concept FE components can be created using sections and director lines. 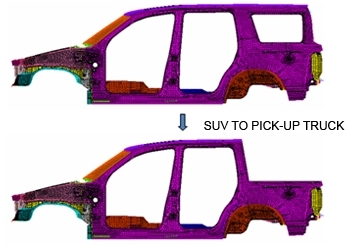 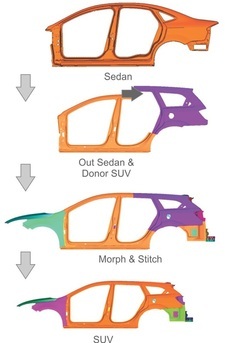 Concept FE features such as ribs, gussets, holes etc. 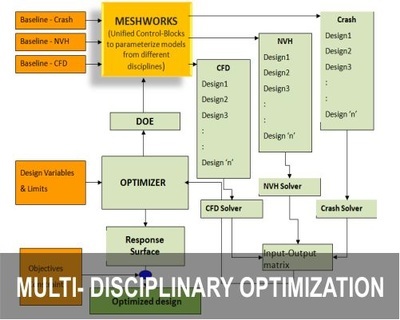 can be created rapidly on existing models.